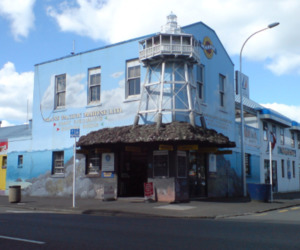 The Ministry for Culture and Heritage, with the support of the Minister for Arts, Culture and Heritage Rt Hon Jacinda Ardern, is undertaking an assessment of New Zealand’s system for protecting heritage buildings. New Zealand’s historic buildings are tangible reminders of New Zealand’s history, and contribute to our identity, sense of place and wellbeing. The assessment will investigate whether the systems and policies for protecting heritage buildings are accessible, easy to use and give communities confidence that the buildings they value are protected. To help inform this assessment, the Ministry for Culture and Heritage is consulting with stakeholders involved in identifying, managing, advocating for, and protecting heritage buildings. You are invited to complete the survey and send your responses to the Ministry for Culture and Heritage by 15 July 2018.